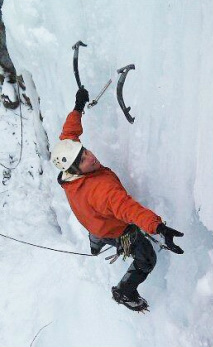 Steve is the owner of Vermont Adventure Tours and the Green Mountain Rock Climbing Centers in Rutland and Quechee. He is a passionate outdoorsman and had been climbing since 1985. Steve has an extensive military history spanning a 22 year career. Since retiring from the military he has continued to teach and lead in the civilian world not only as a guide, but as a teacher of so many things. When he's not teaching, you can usually find Steve off on some crazy adventure with his dog Bella in tow.